The South African National Roads Agency SOC Ltd (SANRAL) would like to notify travellers that roadworks is scheduled to take place on the R75 between Port Elizabeth and Despatch from Monday, 03 December 2018 to Friday, 07 December 2018. The left lane between St. Leonards Road and Spondo Road will be closed for 1km during the day and reopened during peak hours when travelling from Port Elizabeth towards Despatch. The left lane between Spondo Road and Johnson Road will be closed for 1km when travelling from Port Elizabeth towards Despatch during the day and reopened during peak hours. The right lane between Johnson Road and Chelsea Road will be closed for 1km when travelling from Port Elizabeth towards Despatch during the day and reopened during peak hours. The right lane will be closed for 2km from Ralo Road, when travelling from Port Elizabeth towards Despatch during the day and reopened during peak hours. The left lane between Chelsea Road and Johnson Road will be closed for 1km during the day and reopened during peak hours when travelling from Despatch towards Port Elizabeth. The left lane between Johnson Road and Spondo Road will be closed for 1km during the day and reopened during peak hours when travelling from Despatch towards Port Elizabeth. Road Marking is expected to take place at the following intersections: Johnson Road and R75; Chelsea Road and R75; and Ralo Road and R75. 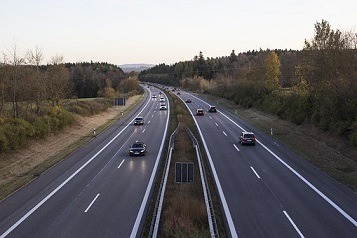 “Motorists are asked to plan their trips accordingly, consider alternative routes and to use caution when making use of the road,” said Mbulelo Peterson, SANRAL Southern Region’s Manager. SANRAL apologises for any inconvenience caused. In a fast-moving and information-hungry world, GetNews is set on providing the latest news and insights to help businesses respond to an ever-changing world to become more successful. GetNews was established in January 2011.